Endpoint management software products help users keep track of devices in a system and ensure their software is secure and up to date. Typical features of endpoint management products are asset management, patch management, and compliance evaluation. Companies use these tools to make sure no unapproved devices are linked to the system. They also use these products to ensure each endpoint device has up-to-date software that has been patched properly to prevent intrusion. These tools have many overlapping features with vulnerability management and mobile device management (MDM) products. Endpoint management solutions simply have a wider scope of capabilities than vulnerability management tools including device governance and device compliance. While endpoint management software helps secure all sorts of endpoints, MDM tools typically only manage remote workers and mobile devices. Endpoint Management reviews by real, verified users. Find unbiased ratings on user satisfaction, features, and price based on the most reviews available anywhere. IBM® BigFix® addresses a major challenge faced by many organizations — how to gain full visibility into the constantly changing endpoint landscape while bridging the gap between threat detection and remediation. See clearly: Discover and audit endpoints on or off the corporate network. Detect evasive attacks with behavioral analytics. Understand completely: Guided investigations to define the scope of detected attacks. Define what remediation action you need to take. Act precisely: Immediately contain and remediate attacks enterprise-wide. Continuously reduce your attack surface. ESET’s Endpoint Security solutions leverage a multilayered approach that utilizes multiple technologies working in a dynamic equilibrium, which has the ability to constantly balance performance, detection and false positives. ESET Security Management Center can be installed on Windows, Linux or via Virtual Appliance. After install, all management is done via a web-console, allowing easy access and management from any device or operating system. All ESET Endpoint products despite the OS can be managed from a single ESET Security Management Center instance. 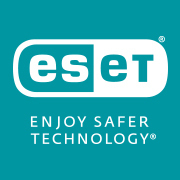 In addition, ESET Security Management Center supports full Mobile Device Management (MDM) of Android and iOS devices. Multiple users and permission groups can be created to allow access to a limited portion of the ESET Security Management Center instance. This allows full streamlining of responsibilities across large enterprise teams. Kaspersky Endpoint Security for Business offers a tightly integrated combination of superior security technologies and far-reaching systems management capabilities, which can all be controlled via a single management console. AnyConnect simplifies secure endpoint access and provides the security necessary to help keep your organization safe and protected. LogMeIn Central is a pure, cloud-based endpoint management solution enabling IT professionals to effectively monitor, manage, and secure their endpoint infrastructure. ​Whether you have remote employees or endpoints scattered across the globe, LogMeIn Central provides IT organizations with the speed, flexibility, and insight needed to increase productivity, reduce IT costs, and mitigate risk. Absolute empowers more than 12,000 customers worldwide to protect devices, data, applications and users against theft or attack—both on and off the corporate network. With the industry’s only tamper-proof endpoint visibility and control solution, Absolute allows IT to enforce asset management, security hygiene, and data compliance for today’s remote digital workforces. Patented Absolute Persistence™ is embedded in the firmware of Dell, HP, Lenovo, and 26 other manufacturers’ devices for vendor-agnostic coverage, tamper-proof resilience, and ease of deployment. Integrated endpoint protection that provides automated next-generation threat protection, as well as visibility and control of your software and hardware inventory across the entire security fabric. Identify and remediate vulnerable or compromised hosts across your attack surface. Lookout is a mobile app that fights cybercriminals by predicting and stopping mobile attacks before they do harm. Check Point Endpoint Security combines data security, network security, threat prevention technologies and remote access VPN into one package for complete Windows and Mac OS X protection. Symantec Ghost Solution Suite is an award-winning software solution for imaging and deploying desktops, laptops, tablets and servers. Quickly and easily migrate to the latest operating systems, perform custom configurations and deploy software across hardware platforms and operating systems. Comodo provides Advanced Endpoint Protection Solution for Small Medium Enterprise that solve malware problem quickly with complete security from known and unknown threats from automatic containment and crowd-sourced intelligence knowledge base. Cb Protection is the strongest security possible for data centers and critical systems. Using a ‘Default Deny’ approach, Cb Protection reduces your attack surface with a single security agent and reduces downtime by automating approval of trusted software and eliminating the burden of whitelist management. and drives automatic approvals through IT-driven policies, as well one of the most extensive trust and reputation databases in the world. Cb Protection helps organizations achieve continuous compliance across every regulatory framework. It does this in a highly scalable manner that minimizes IT overhead, allowing a single admin to manage up to 10,000 endpoints. To stop the widest range of threats, Sophos Intercept X employs a comprehensive defense-in-depth approach to endpoint protection rather than simply relying on one primary security technique. This is the “the power of the plus” – a combination of leading foundational (traditional) and modern (next-gen) techniques. Intercept X integrates the industry’s top-rated malware detection and exploit protection with built-in endpoint detection and response (EDR). Drive threat prevention to unmatched levels. The artificial intelligence built into Intercept X is a deep learning neural network, an advanced form of machine learning that detects both known and unknown malware without relying on signatures. Deep learning makes Intercept X smarter, more scalable, and higher-performing than endpoint security solutions that use traditional machine learning or signature-based detection alone. Panda Endpoint Protection provides centralized protection for all of your Windows, Mac and Linux workstations, including laptops, smartphones and the leading virtualization systems. Replace your manual processes, non-integrated point solutions, or overly complex software suite with the industry’s most comprehensive endpoint systems management solution and give your IT team more time to innovate. KACE fast-to-implement, easy-to-use systems management and deployment solutions provision, manage, secure, and service your growing organization’s network-connected devices, including Windows PCs, Macs, Chromebooks, tablets, Linux, UNIX, and Windows Servers, printers, storage and the internet of things (IoT), while delivering rapid return on investment. And, to add more value to your endpoint systems management solution, explore KACE Essential Services. Ivanti Endpoint Security for Endpoint Manager prevents, detects, and remediates even the most sophisticated ransomware and other threats, protecting your users, systems, and critical data. Multi-layered defenses automate discovery, inventory, patch management, and application and device control. You can also isolate infected devices, take action to keep running malware from spreading, and provide the data business leaders need to swiftly assess and update the security strategy. And because our solution integrates with Ivanti Endpoint Manager, powered by LANDESK, you can secure your environment from the management console you're already using—saving you time and increasing control over the extended enterprise. Ivanti Management Suite increases user and IT productivity. It helps you establish intelligent, integrated control over your user’s multi-platform desktops and mobile devices. Empower administrators to automate software and operating systems deployments, quickly fix user issues, and discover software assets. Management Suite provides foundational data and actions that integrate with multiple Ivanti solutions within a unified management experience—reducing operational overhead and delivering a quick ROI. Laptops and removable media devices have provided today’s mobile workforce the freedom to work anywhere. With this freedom comes a greater risk of a data breach through lost or stolen devices. Symantec Endpoint Encryption combines strong full-disk and removable media encryption with centralized management to protect sensitive information and ensure regulatory compliance. Symantec provides maximum protection by encrypting each drive, sector-by-sector, ensuring that all files are encrypted. In addition to protecting laptops and desktops, Endpoint Encryption supports various types of removable media including USB drives, external hard drives, and CD/DVD/Blu-ray media. With Symantec, removable media users can access their data on any Windows or Mac system, even if encryption isn’t installed on the machine. CloudCare is a free, cloud-based, endpoint security administration platform that makes it significantly faster and easier to monitor threats, resolve issues, and deliver multiple layers of protection to your customers. Provides continuous, updated, and powerful security against the entire spectrum of threats, from zero-day exploits to hacker attacks. Rippling is the world's first way to manage your company's HR & IT — from your team's payroll and health insurance, to their computers and cloud apps — all in one, integrated system. Want to hire someone, for example? Just click a button, and Rippling can instantly: add new hires to your payroll and benefits, create their email, ship their work computer, and even create their user account across all your cloud apps, like Gmail, Slack, and Microsoft Office. Malwarebytes secures endpoints, making workplaces resilient. Our adaptive attack protection predicts and detects attacks with multi-layer detection across the kill chain. We enable active threat response with machine learning that is actionable and automated, allowing for full recovery when a compromise occurs. We empower enterprise orchestration across siloed IT and Security organizations, simplifying security management and making response effective. Malwarebytes makes endpoints resilient so workplaces can protect and remediate, and employees can regain control of their digital lives. Experience unified endpoint management for PCs and Macs with Parallels Mac Management and Microsoft SCCM and manage Macs similar as PCs. Parallels Mac Management is a Microsoft certified plug-in for SCCM extending its management capabilities to Macs and allows IT administrators to discover, enroll and inventory Macs into SCCM, enforce compliance, administer FileVault 2 encryption, deploy software and patches, deploy macOS images with task sequence steps support, deploy user applications via a self-service Application Portal, Remote Lock, Remote Wipe and Software Metering. Organizations can use the same tools, processes and people to manage Macs via SCCM and support such intensive Apple tools as Apple Device Enrollment Program (DEP). FileWave gives IT the ability to proactively and automatically provision and maintain every device. FileWave makes multi-platform endpoint management simple. A group of defense and intelligence experts saw savvy attackers compromising endpoints seemingly at will. Traditional approaches failed to provide sufficient protection. They founded SentinelOne to develop a dramatic new approach to endpoint protection. It’s one that applies AI and machine learning to thwart known and unknown threats. Our team understands how much endpoints matter. When attackers come after our privacy, intellectual property, infrastructure, and collaborative modes of working, they assault more than just data. We’re under attack, and so are our values. That’s why we’re dedicated to keeping our breakthrough platform ahead of threats from every vector. Gartner, NSS Labs, and industry leading organizations recognize that our approach sets us apart. Avast is the global leader in next-gen cyber security products for consumers and businesses and protects over 400 million people online. Avast offers products under the Avast and AVG brands, that protect people from threats on the internet with one of the most advanced threat detection networks in the world. Avast digital security products are top ranked for mobile, PC and Mac. For businesses, Avast offers comprehensive antivirus security that keeps your devices, data, and employees safe from the latest cyber threats. Work and browse confidently from anywhere knowing your business is completely protected. If you are a MSP or VAR, you can also deliver enhanced managed services to your customers and take your business even further. Just choose from our Avast CloudCare cloud-based protection solution or our full-stack, remote monitoring and management platform. BlackBerry Unified Endpoint Manager (BlackBerry UEM) delivers complete endpoint management and policy control for your diverse and growing fleet of devices and apps. 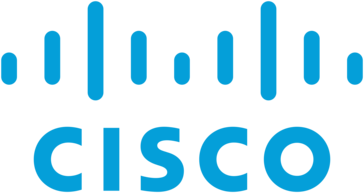 Cisco Advanced Malware Protection (AMP) for Endpoints prevents threats at point of entry, then continuously tracks every file it lets onto your endpoints. AMP can uncover even the most advanced threats, including fileless malware and ransomware. Lumension Endpoint Management and Security Suite unifies the functions of IT operations and security through a single console, server and agent architecture to seamlessly and more effectively address IT risk and systems management requirements across the enterprise. Symantec Protection Suite Enterprise Edition combines best-of-breed products to secure your endpoint and email infrastructure. It delivers protection against complex malware, data loss, and spam threats along with industry-leading messaging protection. Aruba ClearPass is a network security software that provides built-in context-based policy engine, device profiling and comprehensive posture assessment, and guest access options. ForeScout CounterACT is a physical or virtual security solution that dynamically identifies and evaluates physical and virtual network infrastructure, devices and applications the instant they connect to your network. Trend Micro endpoint application Control allows to enhance your defenses against malware and targeted attacks by preventing unknown and unwanted applications from executing on your corporate endpoints. Going beyond malware protection, F-Secure provides end-point protection and security management solutions. Developed in Europe for businesses around the globe. Bitdefender GravityZone combines all the security services organizations need into a single delivery platform to reduce their cost of building a trusted environment for all endpoints. ManageEngine Patch Manager scans endpoints to detect missing patches, tests patches before deployment to mitigate security risks automates patch deployment to OS and 3rd party applications, audits and reports for better visibility and control. Centurion SmartShield endpoint protection creates a virtual space where all unwanted changes are wiped away upon reboot, freeing the user to perform daily tasks without compromising system integrity. ANSA is a patch management software that allows for cross-platform capabilities, reporting on every device within the enterprise, and deploying custom applications. Bromium has pioneered a completely new approach to defeat cyber attacks in real time and provide unmatched threat intelligence hardware-enforced isolation. Endpoint Security Suite Enterprise offers strong data security for business data, systems and. reputations. The suite offers an integrated client that includes advanced threat prevention, Enterprise class encryption, all centrally-managed via a single console to help businesses reduce. EgoSecure Endpoint provides comprehensive protection against all threats to your data. The solution is based on the C.A.F.E. management principle that is used by more than 1,500 customers. The innovative principle combines the functions of control, audit, filter and encryption intelligently combined in a holistic safety concept that offers complete protection against all threats on all data paths. Hi there! Can I help you find the best Endpoint Management solutions?